In a big relief to Maharashtra government, the supreme court today admitted its appeal against the acquittal of Bollywood star Salman Khan in the 2002 hit and run case in December last year. “Leave granted”, a bench headed by justice J S Khehar said after admitting the appealed filed by state government in February this year. The AG fervently urged the bench to fix an early date for hearing but Justice Khehar advised Rohagti to place the request before CJI T S Thakur who according to him “will take the final decision”. It is to be noted that the bench had on earlier hearings refused to issue notice saying “it is a matter of appeal against acquittal, we would like to hear the state further on the issue of what various witnesses said on who drove the Land Cruiser and if material prosecution witnesses had been dropped. “We are still making up our mind”, Justice Khehar had told the AG adjourning the matter to today. In its appeal, the Maharashtra government urged the apex court to set aside the acquittal order. It disputed the High Court’s observation that the investigation was conducted in a careless and faulty manner, claiming that there were many witnesses who corroborated the charges against Salman adequately. The appeal said evidence of complainant Ravindra Patil, who was with Salman in the Toyota Land Cruiser, was legally tenable and its rejection was wrong. Patil was the actor’s bodyguard who had said Salman was driving drunk and had ignored his warnings. Patil died of tuberculosis in 2007 and when the High Court examined his testimonies, it held the evidence was not admissible under law. It said HC had not concluded as to who was driving the vehicle at the time of the accident and said the evidence of all injured witnesses was important and had more probative value being victims of the incident. The petition also refuted the HC finding that the probe was conducted to weaken the prosecution’s case. Instead, “the HC has not appreciated the evidence on record in its proper perspective,” said the state police. They claimed a “hypothesis” was recorded while acquitting Salman of charges of culpable homicide not amounting to murder, grievous hurt, drunken driving etc. Overturning the order of a lower court, which had in May convicted the actor under charges of culpable homicide not amounting to murder and sentenced him to a jail term of five years, Justice A R Joshi said this was “not a case where prosecution has successfully established its case of all its charges”. Maharashtra government disputed the High Court’s observation that the investigation was conducted in a careless and faulty manner, claiming that there were many witnesses who corroborated the charges against Salman adequately. Salman meanwhile has said in his affidavit that he had consumed water and not alcohol at a party in a Mumbai hours before his car mowed down a man and injured five people sleeping on a pavement in September 2002. In an affidavit filed before SC the actor said state police framed him in the hit-and-run case on the basis of fabricated evidence. 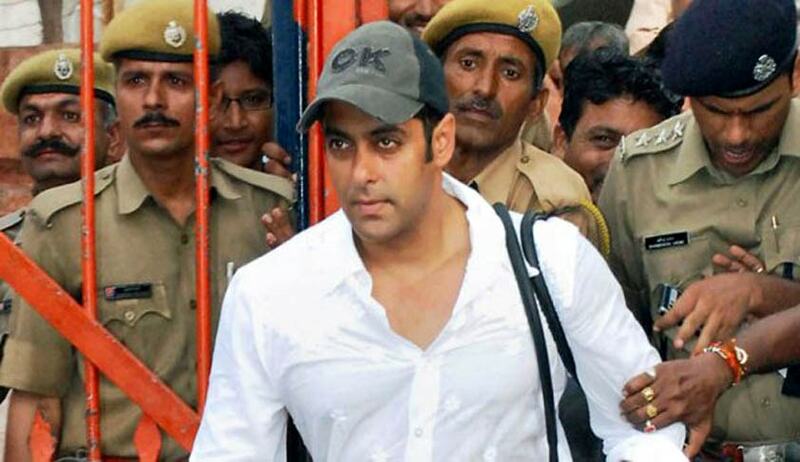 Salman requested the top court to uphold the Bombay high court order that acquitted him in the case. The Maharashtra government has appealed against the HC verdict. Salman said police deliberately ignored his friend Kamal Khan’s testimony, saying the actor’s driver was at the wheels during the accident. “The respondent (Salman) drank some water at Rain bar. The respondent did not consume any alcohol. The prosecution has not presented any eye witness who saw the respondent consume alcohol,” read the affidavit. The police produced fabricated bills of the bar to frame the star, it said. He complained the investigators had not conducted a “proper forensic examination” of his vehicle involved in the accident.